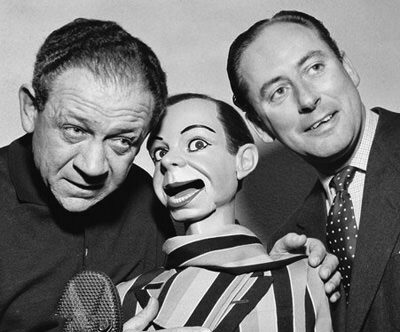 We still maintain that ventriloquism on the Radio just shouldn't work, but it is always a treat when it does! Edgar Bergen and Charlie McCarthy were of course hugely popular in the US from their radio debut on the Rudy Vallee show in Dec, 1937, until Bergen's passing in 1978. 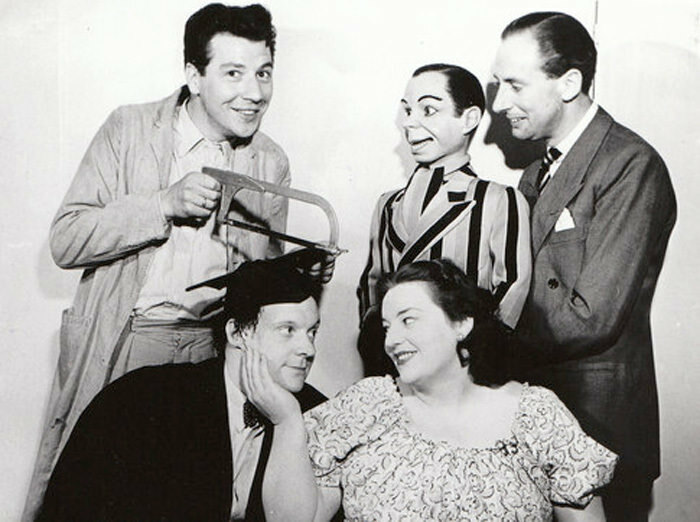 Across the pond, a similar role was played by Peter Brough and his dummy, Archie Andrews (not to be confused with the Archie Andrews who wed Veronica Lodge). Brough began performing with Archie during the 1940's. Archie famously went missing a number of times during his career, sometimes stolen, other times left on the train in the confusion of British Rail travel. In 1951 while traveling to Leeds, Brough went to the dining car and the car in which he had been sitting was removed from the train! Fans waited outside the theater for news of Archie's return, while Brough modified his script and made the performance without his protege. Archie was made in 1942, and supposedly the mold used to make him was destroyed in the Blitz. The humor in Educating Archie is decidedly British; but understated and over-the-top. Educating Archie played on from 1950 through 1958, and was adapted to television in 1956 (Marty Feldman wrote some of the TV episodes). An extra treat for fans of the radio show was Archie's girlfriend in the early years of the program; 14 year old Julie Andrews, long before her Sound of Music fame. Be the first to comment on "Educating Archie"